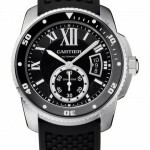 This is a timepiece that was undoubtedly lacking in the Cartier watch collection. Indeed, the brand no longer offered any “diver” since the disappearance of the catalogs Pasha Seatimer (water-resistant to 100 meters). 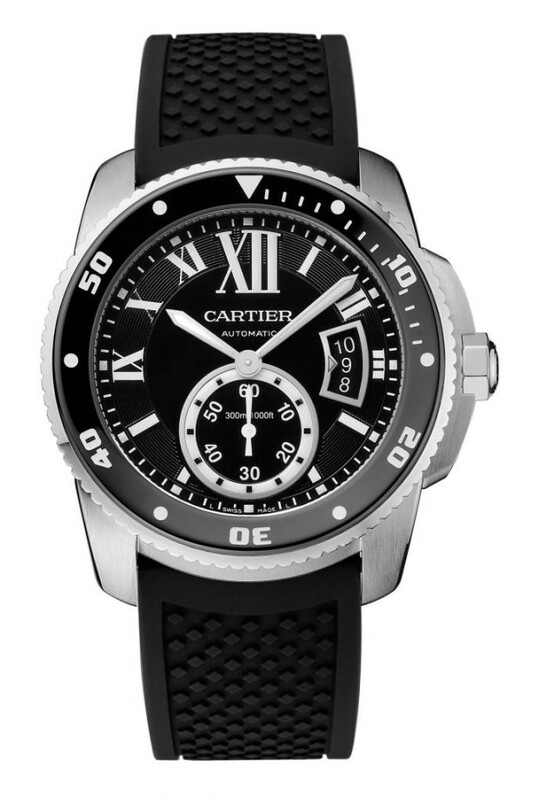 This year, this lack will be filled with the arrival of this new model: the Cartier Calibre de Cartier Diver. 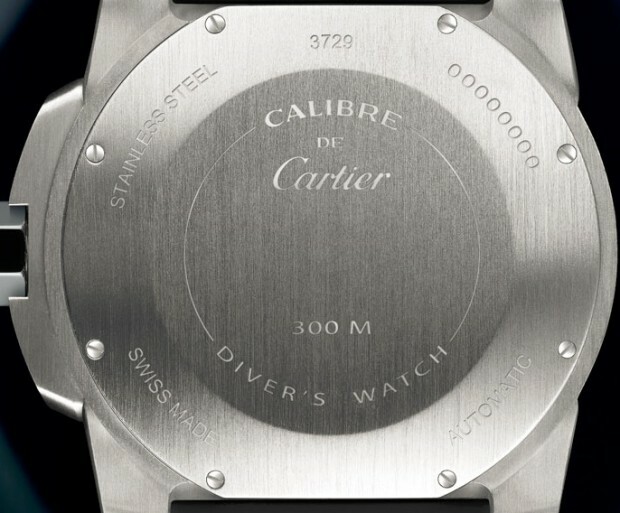 Water-resistant up to 300 meters, the Calibre Diver meets all the criteria for a dive watch established by the international standard ISO 6425, which has earned it the engraving on the back :”Diver’s watch 300m.” Like all diving watches, to guard against inadvertent rotation or any mishandling, the rotating bezel is unidirectional. It features 120 notches (40 teeth and 3 points) which allows high precision adjustment to half a minute and a clear and precise sound during its rotation. 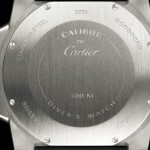 During a dive watches are subjected to very high pressures and extreme external conditions (salt, heat, shock …). To counter this the Calibre Diver has a thick sapphire glass, a screw back, oversized gaskets and a screw-down crown all of which ensure a water resistance to 300 meters. The watch has proven its resistance to salt water after immersion in a solution of sodium chloride (30g / l) between 18 and 25 ° C for 24 hours. In addition, it was immersed in water to a depth of 30cm for 50 hours between 18 and 25 ° C, to ensure its operation remains unchanged under water. 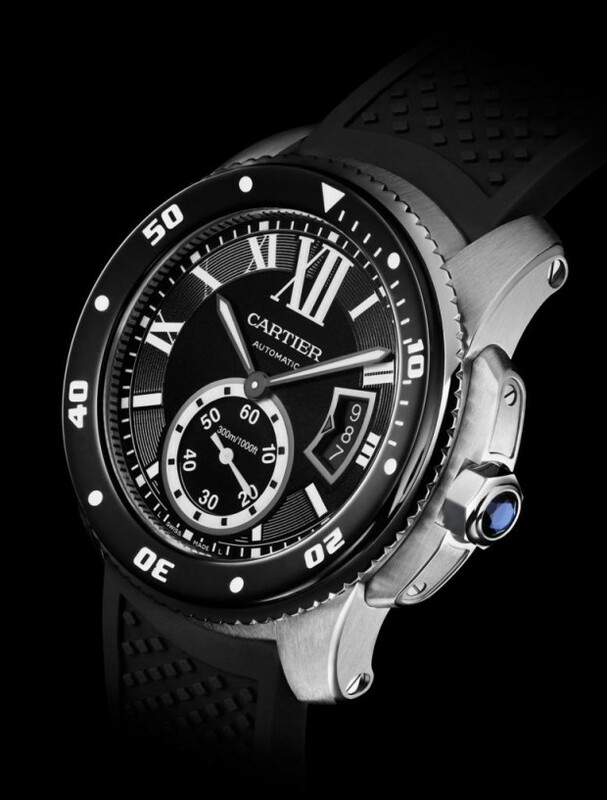 Cartier watchmakers have attempted to create a real dive watch without sacrificing the requirements for a watch that is comfortable for everyday use. 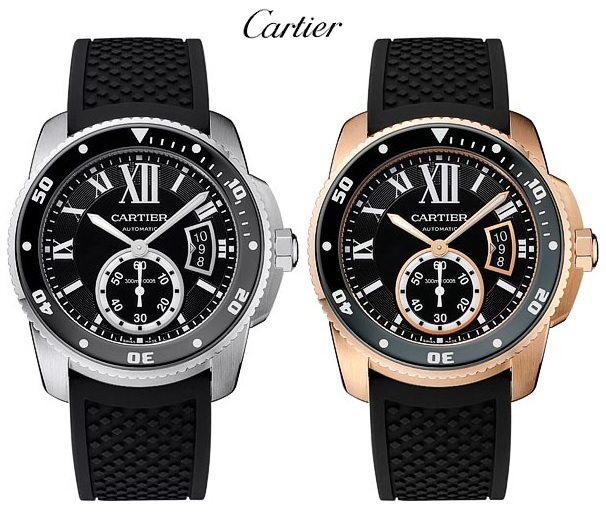 The case (steel or rose gold) is 42 mm in diameter and 11 mm thick and has contrasting satin and polished finishing. Its rotating bezel is coated with ADLC (steel or pink gold also) surrounded by a fluting which echoes the serration inside the bezel of the watch. Whatever the version, steel or rose gold the Calibre Diver is sold on a black rubber strap with pin buckle of the same metal as the case. 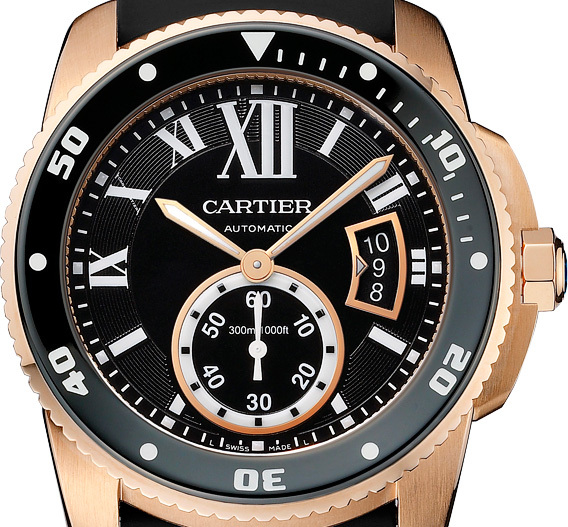 The dial’s most prominent feature is the oversized-XII marker, a clear signature of Cartier. 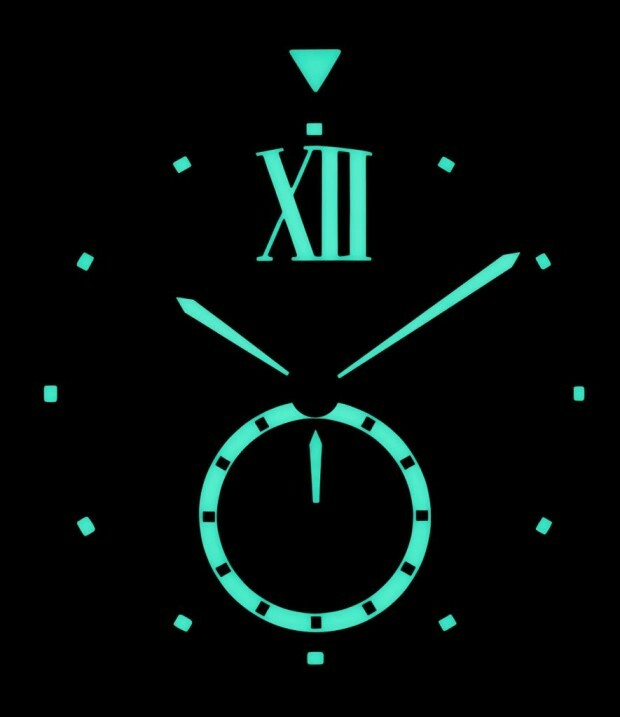 There is seconds hand subdial located at the 6 o’clock position – recall that on a diver’s watch, the presence of a seconds hand is essential as it indicates in real time, the functioning of the watch, which can be vital underwater. Also note the presence of a tri-date display at 3 o’clock. On the bezel for greater visibility, the markers signaling each five-minute period are clearly indicated. In the dark depths the watch clearly displays its readings with Super-LumiNova applied to its dive-time indicators. Housed inside is the Cartier in-house movement 1904 MC the same as its predecessor the Calibre de Cartier. 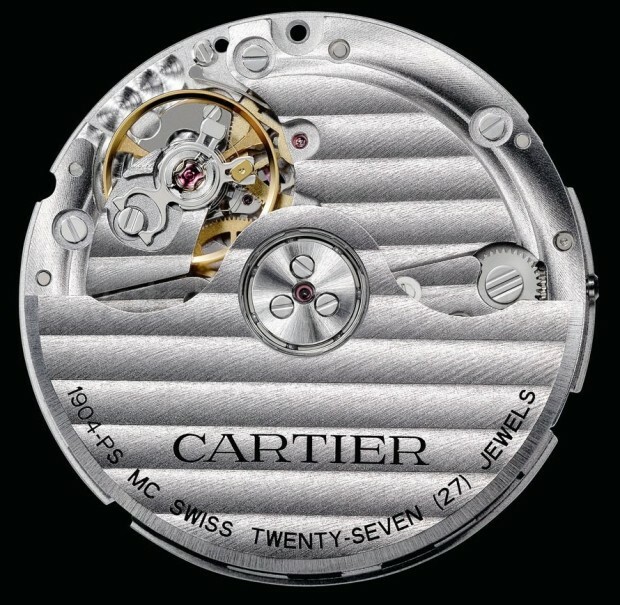 This movement was born in 2010 and was the first automatic movement developed and assembled by Cartier. Its name is in reference to one of the first modern wristwatches created in 1904 for Louis Cartier’s friend aviator Alberto Santos-Dumont. This caliber has been designed to ensure perfect chronometric stability due to a double barrel which ensures excellent consistency of the mainspring torque over a long period as well as a bi-directional winding system. Equipped with a fine adjustment system and a stop-seconds mechanism, it has been designed to enable perfect adjustment of the timekeeping and ensure high precision. The caliber 1904 MC has a bearing system using ceramic balls in the center of the rotor which ensures durability and excellent support in the event of shocks. 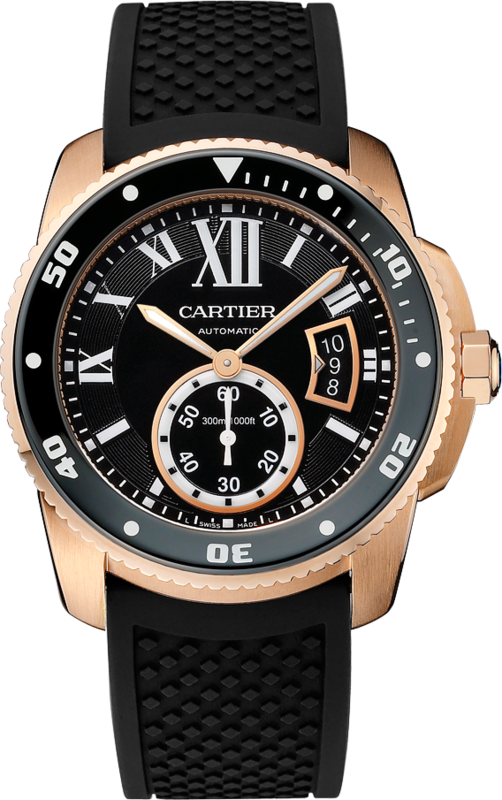 Although familarly recogniseable as a Cartier the Cartier Calibre de Cartier Diver is actually something new from the brand in terms of technology; a serious dive watch. It represents a further step in the brands evolution as watchmakers, a luxury dive watch that satifies the rigorous requirements but in an elegant and sophisticated package. 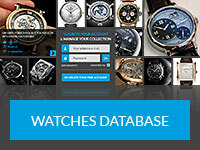 It will no doubt generate interest at SIHH 2014. 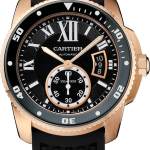 The Calibre de Cartier diver will retail for 5500 EUR on rubber -approximately $7,500 and 6000 EUR on metal approximately $8,250. 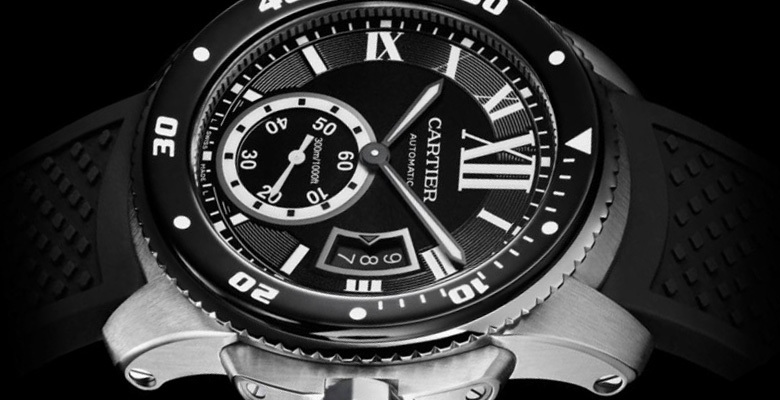 More resources about Calibre de Cartier Diver watch available on GQ and WatchTime.